Why do you need deposit bonus codes? You’ve seen casinos all over the Internet dangle those magic numbers and letters in front of your face, enticing you to jump and play with promises of extra cash in your pocket. We’re talking about bonus codes, the letter-number combo that players all over the world can’t stop taking advantage of. Wondering why you need deposit bonus codes? We’ve got 5 big reasons for you, right here. Would you walk into a land-based casino, drop $50 on the Blackjack table, and run away without waiting for your cards? Of course you wouldn’t, but that’s just what you’re doing if you deposit without using a bonus code. Doing so is like throwing money away. With an online casino bonus code, you’re getting free money just for depositing. Of course, you need to meet certain wagering requirements. For example, the $100 free you might be offered isn’t yours until you’ve wagered a certain amount of money, but in the end the cash is on the house as far as most bonus codes go. There are 100% bonus codes with no rules. And there are 200% bonus codes that come with wagering requirements. The restrictions on one bonus might be tighter than another, but the one with tighter restrictions could give you much more bang for your buck. When you’re presented with various bonus codes and you choose one—and when you keep choosing that same type of bonus code—you’re telling the casino that you prefer a certain set of restrictions and rewards. This helps the casino tailor the bonus for you. Some bonus codes only work on slots. Others, only on table games. There are keno-only bonus codes. Blackjack specific bonus codes. And bonus codes that only work on video poker. If you routinely choose bonus codes for a certain type of game, you’re letting the casino know that you really like that game. This can actually help in the long run as casinos introduce new games. For example, at Palace of Chance, if we see a lot of renewed interest in Blackjack, we’ll do our best to work with our software provider to introduce brand new variations of Blackjack or other 21 games with different side bets. We do that a lot with our slots games, so why not table games? Casinos like the mix up the type of bonuses they hand out. Some bonuses appeal to some players more than others. And while online gambling sites create some bonuses that they think will be a hit, they aren’t always what players are looking for. By taking advantage of a bonus code, you’re showing the casino that the code is popular, assuming many other people take advantage of the code along with you. Alternatively, by ignoring a specific code, you’re showing the casino that it’s not very popular, assuming others ignore it along with you. Some casinos offer players free chips every now and then. 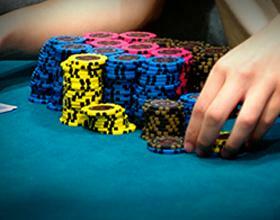 In some cases, the free chips are reserved for players who have already made a deposited and entered a bonus code. If you don’t enter one, you might not be able to take advantage of the exclusive offers coming your way. Looking for the latest and greatest Palace of Chance bonus codes? Check out the current offers on our promotions page. And don’t forget, after you’ve deposited, be sure to add Palace of Chance to your address book. It’ll help ensure that any future bonus codes make it into your inbox, not your spam folder.